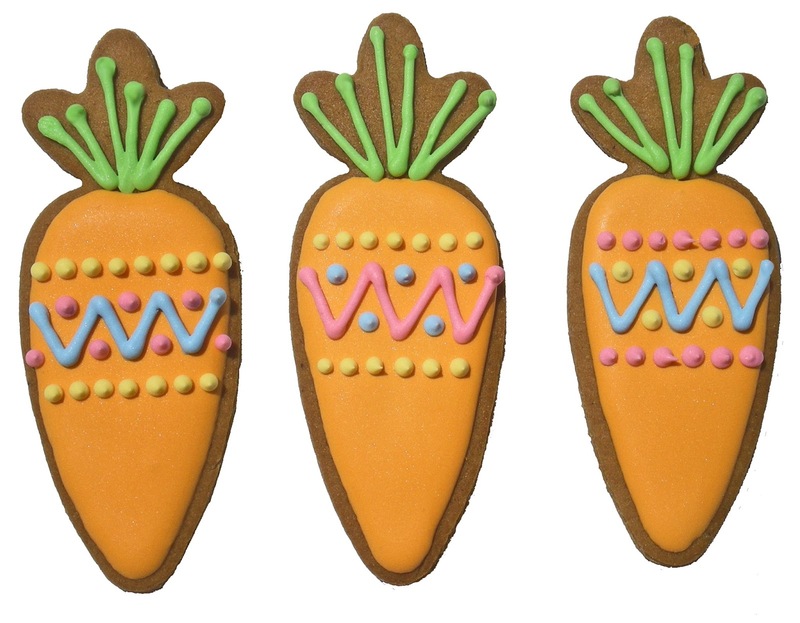 THE GINGER COOKIE: WE DECORATED CARROTS? 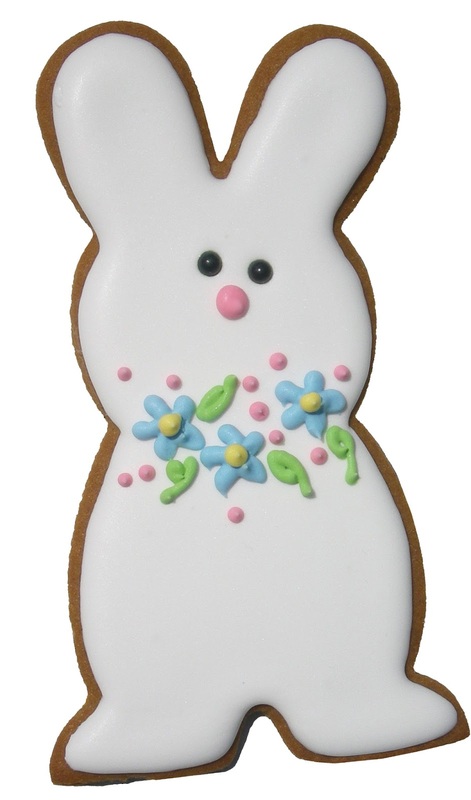 Jill volunteered to help me decorate cookies again this Easter and I wanted to make mostly the same cookie shapes to decorate as last year - see last year's cookies. But - I wanted to try something a little different and handed over a bunch of carrots to Jill. Above is what she came up with! Voila! Looks like Southwest carrots - how fun! I got as far as yellow polka dots - not very inspired as much as I love polka dots. Jill came up with a great looking top - Southwest again. and flowers. Jill did very graphic spirals - I like the dot. Again it has a southwest flavor. And finally I tried putting arms on my favorite bunny. He is now "holding" the flower! Jill put a wreath of flowers around his neck. I haven't decorated cookies in months - it was really fun! And fun to do it with Jill! I love these! Jill's carrots are wonderful and I love the one contrasting dot at the end of the flower center spirals. 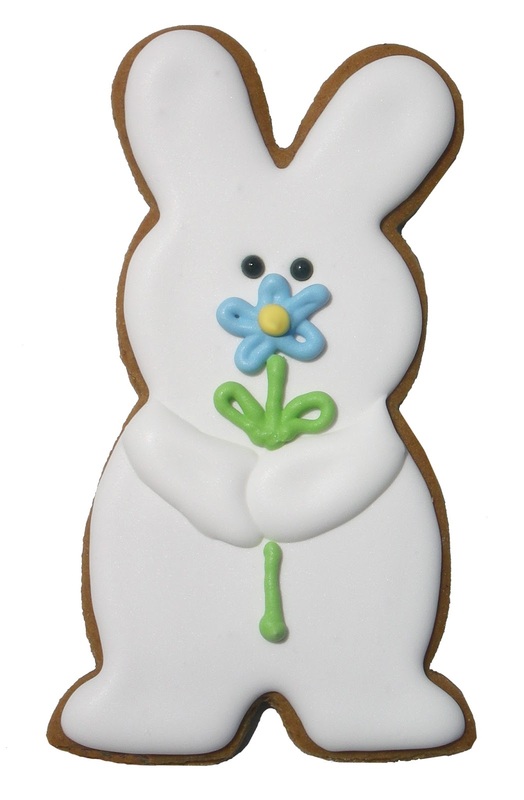 Good job on the bunny's arms, Momsu! That's a really nice detail. Thank you, Nina - we missed you last weekend!